Automatically track your sleep from your Apple Watch*. No buttons to press. Even the Watch app is optional! Just sleep! About AutoSleep ----------------- Using Advanced Heuristics AutoSleep works out how long you've slept so you don't have to. If you DO wear your Watch to bed, you don't need to do a single thing. AutoSleep will track your sleep & quality and send you a notification in the morning. Even if you don't wear your Watch to bed, AutoSleep can track your time in bed. It's extremely simple. If you DON'T wear your Watch to bed, then simply take your Watch off before you go to sleep. As soon as you touch your iPhone or put your Watch back on in the morning then AutoSleep will know that you have finished sleeping. As everyone is a little bit different. AutoSleep provides a simple setup wizard and an option to tweak if you are a very restless sleeper. 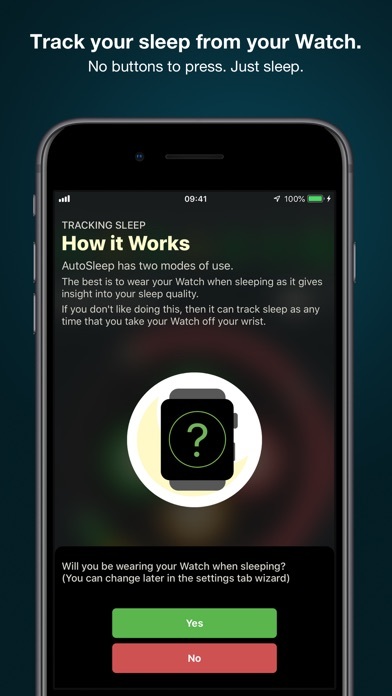 If you wear your Apple Watch to bed*, AutoSleep will also analyse your sleep quality. By using time asleep, restlessness, time awake and heart rate it can score the quality of your sleep and provide you with a comprehensive nightly analysis. *Note. If you do not wear your Watch to bed, AutoSleep simply captures the amount of time sleeping. AutoSleep also works with HeartWatch our premier heart & activity monitoring app and writes your Sleep information to Apple Health. *Requires Apple Watch running Watch OS 4 or higher. WatchOS 5 recommended. Really good app. It’s kind of a pain to make sure my Apple Watch is charged up every night after using a Fitbit for years but worth it to get accurate sleep analysis. I purchased it for $2.99 several weeks ago and not one day/night has it recorded effectively! If you lie down it adds sleep time. There are way too many charts and nothing makes sense. If you like to study and try to figure out puzzles....this is the app for you! I have better things to do! I have three other sleep apps that utilize my Apple Watch and this is the only one that routinely records nearly 100% wrong information every single night. The worst part is I actually paid for this garbage! I even called in and sent them a copy of the graph in their app which showed it was completely wrong and their response was basically a shoulder shrug. When I said I wanted my money back they said you have to call Apple. Stay away there are much better products on the market. Great app that has really helped me understand my sleeping patterns. I had a support question which was responded to expediently and addressed my query within 2 emails. Really helps analyze all aspects of your sleep habits. I’ve used a few different sleep apps and this one is the best... Excellent! Good app. But does this ever calculate when you wake up in the middle of the night? I know there’s a spot where it’s supposed to say it (Awake/Disrupted) but mine always says 0:00 even when I know I woke up a few times in the night. Very Good App, Not Great, Yet! This is a very good app, not great, just yet. It would be nice if you could manually adjust the time that you fall asleep and wake up. The calibrate feature is nice, however it is not always accurate. I wanted a sleep analysis that was easy, consistent and offers quality data. This app is impressive. I've identified personal trends and contributors for good and poor sleep. I have the apple watch which this app draws data from too. A great app....keep up the good work! The algorithm is great, I only slightly adjusted BPM decline % since mine doesn’t drop as much as typical person. Someone previously said this is like wizardry, great description. Best sleep app I have had. This app gives a lot of data. This app is so complicated from setting it up to identifying the colors. It shows me sleeping for hours when I have been up and about. The developer only says to select a “tile” that fits your sleep pattern best. What?! Why have an app to “track” your sleep, when you have to select your own sleep pattern. Folks without sleep issues don’t need this app and the ones that do, can not predict a pattern, since it’s all over the place! Very irritating! I am deleting the app! The best sleep app that I have found. I enjoy it very much. I love the detail it provides. I get up each morning looking forward to seeing what the results are. I would like to see them add a snoring feature to it, to analyze snoring in relation to deep sleep. Stop breaking a good thing. This app used to function as advertised and never had issues. Now it stays in a state of system malfunction, failing to track anything. I love this app! I’m fighting apnea along with a CPAP machine, and this really helps me to see how I’m doing. I love this app. It’s changed the way I sleep. I love this app and everything that it does! But, I wish that it would track snoring. I have another app, Sleep Cycle, that tracks snoring but I’d like to be able to just do it all in one app with AutoSleep. Are there any plans for adding a snore tracking feature to this app? Very insightful! Easy to use, small learning curve!! Pulls data from multiple sources for a very detailed view of what’s going on while your asleep!!! If your shopping for a sleep app to use with your Apple Watch look no further! Download today!!! The app itself is well designed and I am enjoying using it. I hate! the fact that it won’t let me continue until I write a review. If you want to track your sleep it really works. As another reviewer said very well, this thing is magic. Not only does it track your sleep really well (and breaks it down into quality, deep, etc.) but it’s educational as well. I’ve had it for a year and a half and I’m still finding new niches I didn’t know about, and I’m definitely learning about more about sleep than I ever knew. Easy to read. Consistently good. Lots of options to customize it with - calendar vs graph vs chart. It also has an explanation that’s easy to understand about how it measures the metric you’re looking at. Shares with iPhone’s native health app seamlessly. I love this app. I get an accurate reading and have been creating better sleep rituals based on feedback. It syncs seamlessly with the Apple Watch. I love being able to see the detailed breakdowns of sleep including heart rate during sleep. I wish the app had a different name, as “Auto Sleep” doesn’t really describe what it does. I’ve looked at some of the other sleep apps and this one is by far the best and most detailed. Keep up the great work. One of the best apps ever. I look at it every day. Perfect for people who love statistics. Sleep optional. I'm a statistics and analytics junkie. I love graphs and data. This app is very satisfying to these unconventional tastes. I also find the "debt collector" verbiage to be amusing, explaining how I can satisfy my sleep obligations, however improbable they may be. If you have a Apple watch and you found the transitions from a Fitbit or other tracker to be difficult because of sleep tracking not being included, this will fill that niche. A lot of times when I’m reading in bed, it will register as sleeping. This app is the first thing I look at each morning. If my sleep ring isn’t green, sometimes I go back to sleep until it is. Mindboggling how all sleep data can be gathered and tracked. Not always sure what the details mean but it’s made easier by the colors of the sleep rings. Highly recommend! It’s the best sleep monitoring app but I have to calibrate it every day. My wife and I love to compare sleep history and see where we can improve. I was skeptical it would be of any value but now I find myself trying to sleep better and more. Great app! An excellent app! In just three weeks have seen a very positive change on my sleep habits! That include increased quality sleep, amount of deep sleep, and number of stars showing improved mental and physical readiness! Was not really expecting to see these changes! I’ve had bouts of insomnia off and on for years, and I’ve tried many sleep trackers to help figure out my sleep patterns and how to improve them. This is by far the best I’ve used. The amount of data is amazing. It’s presented in an easy-to-read format. Most of all, it’s quite accurate with the heart rate data from the watch. I was hesitant to wear my watch to bed every night, but the sleep data I get makes it worthwhile. I purchased the bundle that includes the smart alarm. I rarely use an alarm, but when I need it, this one is great. Has useful data to help track quality and amount of sleep. Sleep is #1 priority for any of us with bipolar disorder, and this app is keeping me on track with a good schedule. Won’t do without it anymore. this has really helped me get insights on my sleep patterns. overall a wonderful app! This app used to be pretty accurate but since the last update it seems to be less reliable. Please spend more time making it accurate vs. adding new features. All I get is an error meeting. This is a great app! Gives lot of great sleep stats especially if you wear your Apple Watch to bed on a consistent basis. Tracks heart rate, deep / light sleep patterns, wake times, etc. Definitely recommend!! I love this app with my Apple Watch 4. Gives a really good idea of sleep hygiene and helps one make decisions to improve on sleeping behaviors. I tend to be a visual individual and, just as my health tracker keeps me moving throughout the day, this helps me stick to a plan and remain accountable for the amount of sleep I am getting. It’s is super intuitive and helps me stay healthy by allowing myself the proper quality rest I need. I have never used it without my watch so I am not sure how well it works without the tracker. The sleep rings are a good touch, obviously based on the health rings. They all seem like very useful info, I had to calibrate mine several times before it started tracking correctly. I also had to have my watch on my wrist as tight as it would go before it wouldn’t stop tracking in the middle of the night, which is frustrating. Don’t go by readiness score, everything else is great! I like that this app is spot on when it comes to deep sleep and sleep quality, but the readiness score is always off. It seems like for me it’s the opposite, and I still don’t understand how it determines it. Take today for example: my deep sleep was at 1 hr and 15 min, and quality sleep was 6.5 hours. Then my “readiness” was a gold metal, yet yesterday when I have 3 hours of deep sleep and 8 hours of quality, I had 1 star. I definitely felt better yesterday than I do today. So that’s the only thing I don’t go by. Feature rich with lots of technical info to use in understanding sleep habits and distractions. Worth the learning curve. This app has so much data and seems to be pretty accurate from what I can tell. I could see that when I started making my bedtime and waking time consistent using their other app AutoWake, my deep sleep amount went up! Enjoyable, but the scientific basis is unclear. I have been using this for about two months now. It is very easy to use. The data display is good. But I am not sure what it really means because there is no detailed explanation of how it works. Obviously it tracks your pulse, change in pulse, and wrist motion. But how does that translate into type of sleep and sleep quality? I sent them an email asking for an explanation of what the algorithms are and/or references to articles regarding the scientific basis for the algorithms. I received an immediate response saying they would respond in a few days, but that in the meantime I could read the information they had put out already. I looked at that. That information is very general and does not explain what scientific basis there is for the app. After a week, I sent a second email, again asking for references that might provide a scientific basis for the app. Same response: an immediate reply saying they would respond in a few days, but that in the meantime I could read the information they had put out already. That was their total response. So I suspect there is no real scientific basis, and no one reading their emails. That said, it is enjoyable and has a good display. So, as long as you take it as a simple indicator of wrist motion, pulse rates, and pulse changes, it is fine. But that is all it does. It is up to you to decide how that translates into sleep quality and/or types of sleep. Also, the watch app requires communication with the phone app to properly update, and that does not always work. But that is relatively minor in comparison with the lack of references as to the meaning in terms of sleep quality and/or types of sleep. Apple is apparently working on its own sleep app to be released in 2020. It will be interesting to see that. Incredible! AutoSleep is great for tracking sleep. The data and level of detail are amazing. It may seem like too much, in which case you can stick with the basic info: how long and how well you slept. The only app thing I’d change is to make the UI cleaner. It can be daunting when first using the app. Stick with it and you’ll be rewarded. There’s so much info and research behind the app. Developer is very responsive to issues, though I haven’t had any in a long time. So much info that I was not aware of. Now I start each day with a solid report concerning my sleep time. I have tried a few sleep apps and this is THE only one that is able to accurately gauge when I actually fall asleep. I’m not sure HOW it dies it but it’s highly effective. 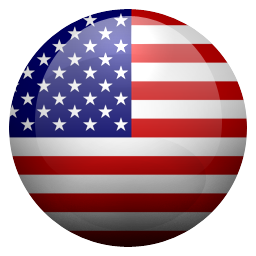 I found SleepWatch, which is supposedly better, did not come close to the accuracy of this app. SleepWatch incorrectly charted sleep times and did not seem to have the capacity to effectively seam together sleep and waking times and product a. Chart by morning that made any sense. I use AutoSleep every night and I recommend it 100% to anyone who is looking for a seriously aid to sleep hygiene and data collection. Ive tried so many ways to get this to work and it just wont. It never records my sleep accurately. Waste of money. Real great tool to monitor the health. Seriously, this is pure magic. Correlates with how I feel very well. Best sleep tracker ever! I’ve only used this application for two nights so far. It has already focused me for the better on my sleep habits. I really love the focus it gives for someone who has some pretty bad sleeping habits. Look forward to better and healthier sleeping going forward! This app has made me so aware of my sleep quality. In fact, I made an appointment with my doctor to share some of the data this app has alerted me...like my resting heart beat. I’m now going for a sleep study to get further information. Because of this app, I’m more aware of the importance of sleep to my overall health. This app is good for recording sleep patterns, but the analysis aspect is a bit too general. Wish it had more personal insights. But good for tracking. I just started a new job, moved across the country, and am managing recently discovered slightly high blood pressure. 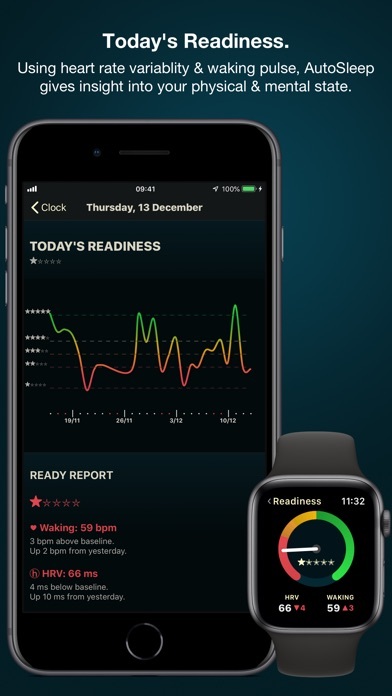 I use this app along with HeartWatch (using my Apple Watch) to track my heart rate and sleep quality, given that I need to get real results from my cardio work outs to buffer my blood pressure fluctuations, and ensure that I get enough good sleep as I adjust to getting up at 3:30 am for work. Best data analysis sleep tracker that I’ve seen. Awesome ways to view and track sleep and customizable as well. It also does not use much power, ~10% a night with a S4 Apple Watch. Suffers from some inaccuracy, which is why I gave it 4 stars and not 5. This may improve over time with updates to Apple Watch and from the app itself. This is a truly excellent app. It works so seamlessly and smoothly. You just go to sleep and all of the data is available the next morning with one easy tap. The detail is phenomenal and the way the information is presented as very easy to understand. I recommend this app unreservedly. 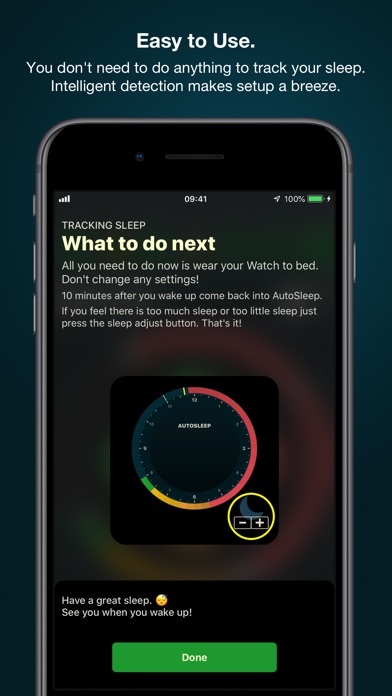 I have had a Fitbit sleep app before but this APPLE Watch version of AutoSleep is phenomenal! Seems to be about as accurate as anything I have tried before. Very useful tool in adjusting to a more healthy lifestyle! Downloaded it and then very first day it doesn’t record my sleep sooooo not sure if I’ll keep it. Seems like a waste. Love this app, at least when used with an Apple Watch Series 4. Excellent app, really well done! Love this app! Would recommend! Best sleep app so far! 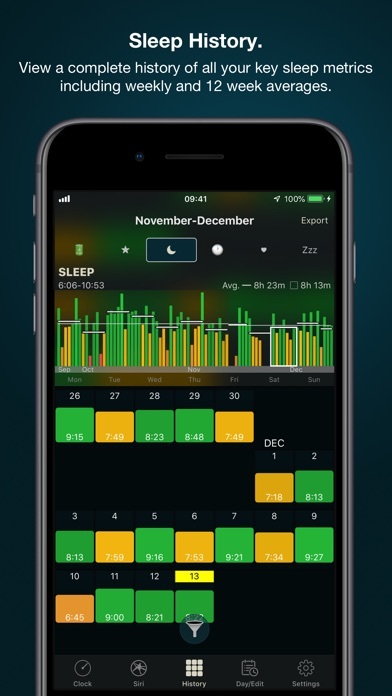 I’ve tried 6 or sleep apps some of which are pretty dismal and this one rates tops of the lot - but, I would have preferred a graph as the other apps provide showing your waking/light sleep/deep sleep progression as Sleepzy does. Otherwise I’m thrilled with this and will use both apps simultaneously just using sleepzy for the graph visual and this for the heaps of useful and thoughtful info it provides. One of the best functions is the auto on and off option. Great job Auto Sleep! This app doesn't really do anything you can't do by looking at a clock. It only checks to see if you've used your phone. Screentime can do that without this app. I hear Apple is going to have an app. Fine be the leader. There are lots of camera apps that beat Apple’s. Apple’s Podcast is an abysmal failure compared to Diwncast. I bought this expecting for it to track my sleep like any other app. It says that I only sleep 2 hours. It assumes that when you toss and turn that you’re awake, I wish they could change this feature. I do not recommend if you toss and turn. So inaccurate my doctor laughed! Has no one tested this before?? It’s junk. I used this at the sleep center under recorded supervision twice. On video, and sedated, I slept motionless for 8 hours both times. This app said I had a total of 4 hours and 15 minutes with a lot of light sleep and 21 minutes of deep sleep on night one. Night two, the app showed me having slept a total of 3.5 hours slee and 4 minutes of deep sleep. A worthless app. I've used this app for more than a year wearing my Apple Watch to bed, which monitors my heart rate and my movements while I sleep. I'm impressed by how well the app measures the quality of my sleep. Using this data I noticed that I could make changes to improve my sleep. Once I forgot to take my medications in the evening and that night I noticed a spike in deep sleep. Now I take my medication in the afternoon instead of the evening and I sleep much better. Also, you'd be really surprised to see what a single glass of wine and a cigarette in the evening do to your sleep (it's scary)! I encourage anyone to try the app for a week and then make a few lifestyle changes and see if you can improve your deep sleep! Totally with the few bucks! Great job developers! This applications helps me to understand my sleep pattern. It helps me to decide what I need to do to get better rest. I have used a few of these sleep monitoring apps-this is by far the best one of the bunch. The details and the breakdown of those details are the most interesting aspects of these apps. AutoSleep does that best. (And it seems to be the most accurate- I still use another sleep monitoring app, just to compare notes). If you’re in to details and accuracy-I highly recommend AutoSleep. This app is great, it tracks my sleep, heartbeat and give alerts when my heart is over the aloud setting.It has alerted me on several occasions that my heart rate has jumped to over 111 and I wasn’t working out. I switched from a Fitbit Ionic and initially disappointed at what the Iwatch 4 didn’t have. I downloaded this app and and counting steps app that are way better than Fitbit. Other apps have you turn on when you go to sleep 😒😦. Ain’t nobody awake when they go to sleep😂. Love everything about this automatic sleep tracker you guys are geniuses 😍😘!!!! It doesn’t register my sleep! I bought this app last Saturday and I used it then it registered my sleep and I was super happy because it was telling me that I wasn’t getting enough sleep. Then for the following two nights the phone keeps telling me that I needed to connect to Bluetooth and then my phone needs to be unlocked. For the past four nights I have literally done nothing since the first night and my phone is not registering this information. I wasted my money on a app that doesn’t even work. This doesn’t work no matter what I try to do with trouble shooting and the directions are too confusing. I’m really disappointed, as I need to track my sleep. This was a complete waste of my time and money. I don’t understand why it works for others but I cannot get it to work at all. This is one of the best applications in my phone. For me it has a direct impact on my health as it monitors my sleeping patterns. Taking into account that we spend 1/3 of our lives sleeping, that’s important. I’d been really struggling to get some good sleep...and this app shows a person exactly what’s been happening! It’s really is both fascinating and informative!!! We have three (3) beds that I’ve been able to try for a week week now...and it’s super clean to see which mattress helps me sleep the best by a long shot...AutoSleep has been worth every penny! I think I finally found the right sleep app. No extra costs, from what I can tell they don’t share my data, and this works really well. It does follow my watch perfectly and knows when I was in bed vs sleeping etc and gives me a really good insight on how I’m sleeping and what I need to improve on. 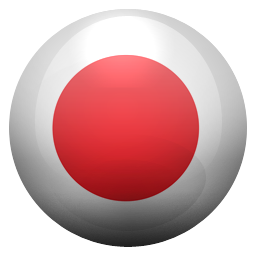 It does not seem to have the same features as some others like audio recording, but I haven’t found those to work anyway so this is great for what I’m looking for. Great app, and almost certainly the best sleep tracker on the App Store. What I love most about it is that it uses multiple data sources—movement of your watch, movement of your phone, and your heart rate from your watch to make a pretty accurate reading of when you were asleep. Although several of its competitors support showing heart data, most don’t actually use your heart rate for sleep detection. It also doesn’t try pseudo-scientific REM sleep detection (my understanding is that you can’t do this accurately with a wrist tracker, even though some apps pretend to); it just tries to understand when you were in restless sleep and when you were in restful sleep. And it allows you to carefully tweak the analysis so it fits you exactly. It doesn’t offer an intelligent alarm or snoring recordings/detection. These would be my biggest requests. But you can use this in tandem with other apps that do that. Also, it would be nice if you could tweak the “phone movement” threshold. For example, it should be easy to tell when you’re in extremely disordered sleep because you’re pressing the snooze button on your phone. Right now you can either turn phone detection on or off, and if you turn it on, snooze button interaction with multiple alarms shows up as awake. Overall great app though—an easy five stars. THIS SHOULD BE ON THE APPLE WATCH OUT OF THE BOX!!! Both apps are $5 bucks total. NOTHING when you consider the cheapest apple band is $50!! And this offers soooo much versatility for your watch. I literally would have sold this Apple Watch if it were not for these apps! They NEVER CRASH AND NEVER HAVE AN ISSUE!! also the heart watch can ALERT YOU WHEN YOUR HEART RATE IS TOO HIGH OR TOO LOW WHICH IS EXACTLY WHAT THE WATCH SHOULD DO!!! THE AUTO SLEEP TRACKING IS AS GOOD AND AS DETAILED AS FITBIT! For 2 bucks?!!? Come on that's a crazy deal, and the watch still has a full day battery even if you wear it to bed. I use it for voice to text alerts and emails all day at work and tracking a workout in morning with continuous heart rate tracking and still from putting it on at 10pm to track sleep , exercise at 6am, to work till 5 pm the watch still has about 20% left at 7-8pm. And if I charge it after waking from tracking sleep, for just 5 - 10 mins while I get ready in morning, brush and make coffee, it is back to 100%!! Again, Apple should be sooooo grateful that this company made these apps. I love that cardiogram is doing heart health studies with their apps and it's free, so we should all do it for the study, but THESE APPS, heart watch and auto sleep are waayy better cleaner and absolutely worth every cent. They are ESSENTIAL if you have an Apple Watch! I’ve had several activity trackers over the decade. They have had their strengths and weaknesses. Up until now, the Jawbone UP3 was the best for sleep tracking. My Garmin Vivoactive HR was great for activity, but terrible for monitoring sleep. I finally gave in to the Apple Watch series 4, and love it, but am still surprised that they don’t outright offer sleep tracking. I have a varied schedule and work nights, so knowing how behind or on track with sleep is very difficult. I skeptically bought the AutoSleep triad of apps and have been amazed at their accuracy. The auto sleep detect has been right on. And I am impressed with the ability to distinguish deep sleep. I can tell when that is accurate as well... I’ve felt tired after 7 hours of sleep and the app shows I got no deep sleep. Conversely, I’ll make up for it with 6 or 7 hours of sleep and have 3 hours of deep sleep and I feel great. So I know it’s accurate. The breakdown of my averages of sleep and heart rate are very useful as well. It’s not perfect. I’ve taken naps in the late afternoon that it has missed. But overall, the accuracy is stunning. This is money extremely well-spent. It adds so much value to my Apple Watch for me. I can’t believe Apple has ignored this aspect of its health applications. But AutoSleep is about as good as it gets. This app could be great, but I just feel that it needs some work. I’m not sure why the UI is set up the way it is since it is not user-friendly at all. I would consider myself pretty “tech-savvy” and I have a hard time figuring out this app. The main display is fine, but I still feel it could use an update too. Trying to figure out all of the tabs and what everything inside the app does + how to use it is frustrating when it should be designed to be simple. For whatever reason my data keeps recording that I fall asleep right around 12am every night. This is not always the case, and I don’t touch my phone after I’m in bed, so the only reason why this could be happening could be from a noise app that has a timed shut off. I’m not sure why this would be triggering a phone movement but that’s the only thing that seems to make sense. This would all be fine if I could just edit the time I actually fell asleep, but again, the UI is so frustratingly bad on the edit tab that it seems impossible to do. You can only hit “less” or “more” sleep, but it doesn’t let you control where this is adding or taking away from. So if I add more then it starts counting the time I started working at my desk in the morning (when I was not moving). I would love to see an updated UI including easier to use controls within the app. I really really want to love this app but there are some things that need updating. I’ve used quite a few sleep apps over the last year or two and this is by far the best. You have two options - use it with an Apple Watch or without. If you don’t have a watch, the app correlates the data from when you plug your phone in vs unplugging it, but it also takes into effect when your phones screen is on and subtracts it from your total sleep hours! This is the first app I’ve ever seen do this! When you use it with your watch, if you turn it into “Theater Mode”, it gets really detailed information about your sleep and tells you when you were in different sleep levels, but with Theater mode all night it uses a whopping 2% battery. It still correlates phone screen time into sleep totals, and subtracts that from your sleep, so you get a much more accurate picture of how long and well you’ve slept. The only bad thing is you have to remember to charge the watch before you get to the point of being in bed. Probably my only gripe is I think metrics for heart correlation could maybe be broken down a bit more (average HR in REM, average in Deep Sleep, etc), but it does give graphs of where your HR attended out over time so that’s nice. This app changed my life and the way I think about sleep and how the decisions I made throughout my day affects the quality of my sleep. Everyone knows going to bed early and getting a good nights sleep is good for you, but how do you get there? This app and my Apple Watch helped me figure out the way. With this app I discovered that my minimum amount of sleep needed is 6.5hr, target is 7hrs and anything above this is a bonus. With this app I discovered that I really should not have any alcohol 3-4hrs before going to bed otherwise my body wastes more energy processing the alcohol through my system than helping my body recover while I sleep and I don’t wake up feeling rested. This app helped me discover that I have food allergies I was not aware of, by monitoring my heart rate after a late night snack I could see via HR charts which snacks helped or impeded my sleep cycle. Every morning I wake up and look at the total amount of sleep and deep sleep I just completed and if it’s not at my minimum amount than I continue to sleep a bit more if possible so I have a productive day. To the developer thank you and continue all the great work and please continue improving this app! Great app! I’ve been using this ever since I heard Federico Viticci talking about this on the Connected podcast. I’m using this along with a Bluetooth blood pressure cuff (Omron 10 series) and a Bluetooth scale to get a detailed baseline of basic health indicators, and track it to see if there are any subtle changes I should take action on. (I also track everything I eat and drink using LoseIt!). AutoSleep, along with the Apple bedtime reminder is doing a lot to keep me on track to getting more regular sleep. (I also try to manually correlate the foods I eat and my overall hydration with better sleep. I tend to get heartburn that bothers me when I lie down. Watching what, when and how much I eat helps with this. ). The Workout app on my Apple Watch also motivates me to get more exercise which also helps me sleep better. I heard that people who regularly get less than 6 hours of sleep are at significantly greater risk of heart attacks. So I eat better and exercise more to sleep better and hopefully it will all synergistically help me enjoy watching my daughter grow up at least through middle age. No app should be this difficult to use. It would either not record my sleep at all or record some of it and then disappear. I contacted customer service. Customer service is good. Spent 4-5 days trying to get this to work. I still have an iPhone 6s so there was a know glitch with it and the app. Because of what I assume is a time difference they only answered me emails at around 10pm each night. Finally we were able to get it to track and save my sleep. I used it for another week or so however what it records is inaccurate even with adjusting it. AutoSleep routinely tells me I am only sleeping 1-6 hours with 0-23 minutes deep sleep even when I know I have had deep sleep and have had dreams. AutoSleep also shows me awake when I know I was sleeping. I wear both my Apple Watch and my Withings. My Withings is more accurate consistently shows when in deep sleep, when I have awaken during the night. I bought the AutoSleep app because I thought tracking my heart rate and quality sleep would be beneficial. Just wearing my Apple Watch to bed does that for me. I really wanted to like this app and thought it would be the only app I would need to use. Unfortunately that has proven not to be the case. Before I received my CPAP, I would wake up as if I barely got any sleep...even after an 8hr night! AutoSleep always showed my sleep as being sporadic and crazy and I always thought it wasn’t working properly. I even contacted their customer service. They had me make some changes, but it still didn’t help. But, their customer service was constantly trying to help me. So they definitely have a top notch customer service!! After my sleep study, I found out I had a severe case of sleep apnea. After going on the CPAP, their program started showing favorable sleep patterns. So, it was working all along, it’s just my apnea was that severe that the app recorded as best it could. I was having an issue where it wouldn’t record short naps and it wasn’t recording when I truly got up in the morning, but they’ve got settings for that as well!! Now all my sleep is captured, even the quick 10-15 naps I have sometimes. This app is 100% worth the money. Don’t hesitate to give it a shot. And, if it’s as sporadic as mine was in the beginning, it’s possible you could have sleep apnea. I have tried them all, and this app is the best *by far*. The best part about it is you only need to remember to wear your Apple Watch. A quick 15-20 minute recharge once or twice a day keeps me going all night. The app does the rest. No more hiding my phone under a pillow or forgetting to turn on the sleep tracking app (only for them to crash). This app doesn't run all night long. Instead it uses the brilliant approach of analyzing the data already collected on the iPhone and Apple Watch. It takes that data and draws logical conclusions about when you were asleep. I don't write reviews very often, and I don't write them unless I've been using the app for a while. I have been suing this one for about 10 months now, and it does a great job at determining my sleep time. To make matters even better, the deveeloper is constantly updating the app to make it better. I think there were two full version updates in 2016, and now there is another full version update with a cleaner interface. Super nice. If you want to track your sleep, this is the app for the job. As humans our health is dependent upon many factors, but none more crucial than sleep. Deep sleep is the time your body uses to do deep repairs of cells it cannot do at other times. If you use this app with Apple Watch for a couple months you’ll see just how much sleep you’re really getting. Light, deep, restless or interrupted you can see it in data and take action. No data is ever 100% accurate, but more critical than accuracy for measurement is consistency. Autosleep has given me the data I needed to understand or confirm: a) I wasn’t going to bed early enough to ever get a solid 7 hours of sleep, b) cutting out afternoon/evening caffeine really DOES improve sleep, c) spending 15-30 minutes outdoors once or twice a day really DOES improve sleep & d) adjustment my split dose medication times to earlier in the day helps improve my sleep. Take care of you and monitor your sleep every night. If you actually look at the data, you’ll start begin learning the keys to your own body’s sleep needs. More importantly you will see, right there in YOUR data what helps YOU sleep better. I’ve used this app continuously the last ten months with an Apple Series 3 watch and and have been very impressed by how well it works. It’s quite accurate in tracking sleep. Oftentimes it will even catch an afternoon nap. The charts are stellar too and provide a nice way to review the previous night’s sleep, and the calendar history is well laid out and allows one to quickly review sleep history over the previous month(s). Occasionally the app will think I’ve fallen asleep late at night if I’m watching TV and barely moving, but the editing capabilities for the previous night’s sleep is first rate and you can quickly make adjustments. It also has a sensitivity setting that you can adjust to take into account how much you naturally move at night so it will track sleep more accurately. Finally the watch and phone work in tandem and so, for example, if you move your phone, it can automatically register that as being awake. Overall, I think this app has been my favorite health app I’ve purchased for my watch and phone. Works great when wearing watch. I was skeptical that a third party app would work well, and skeptical about sleep tracking in general. I bought my first smart watch (Apple), and gave this a try based on the reviews. Even the negative reviews were about trivial things not related to how this product performs. The sleep and wake times in this app are pretty spot on, and it has many metrics with lots of data (restlessness, deep sleep, awake, heart rate). There are even different profiles for different types of users (like athletes/normal people/standard high heart rate). My only complaint is that I’d like to know how it calculates some of this to be able to make changes to my sleep pattern to get the most benefit. For example, are “restless” moments any time I move my wrist, or true tossing and turning? What constitutes “deep sleep”? I almost returned my Apple Watch when I found out it didn’t have built in sleep monitoring, but this inexpensive app has saved the day for the Apple Watch. I’m impressed. To be honest, I had fairly low hopes that this app would work well for me. I'm a night shift worker with horrendous sleep habits and I just didn't expect that it would keep up with me. I too often go 24 hours without sleep, sleep for 12 hours at a time, or lie in bed for hours trying to fall asleep. This app hasn't missed the mark once. I ran the setup wizard on day one and set the app to interpret phone motion as me being awake. I wear my watch to bed and leave my phone charging on my night stand. This combination hasn't messed up once. Every sleep, every nap, every hour lying awake, all counted correctly. The data is presented in various interesting and useful ways. I knew my sleep habits were horrible, but there is just something about seeing them displayed graphically that makes me more inspired to actually fix them. As if that wasn't enough, I contacted support for what I thought was a glitch, and I received an email the same day that solved the problem on the first try. I had accidentally excluded one day's data from the history, so there was no problem with the app in the first place. My only concern with wearing my watch to bed was battery life, since I also want to wear it while awake. This hasn't been an issue. It charges so quickly that it has been enough to simply charge it here and there when I'm in the shower, eating, etc. Fantastic app and fantastic support. I can’t believe such an amazing app is available at this price. I tried 2 other highly rated sleep apps but deleted them both after 2 days because they were so inaccurate in tracking your sleep. I had been about to give up on sleep tracking when I read the reviews on this app and thought I’d give it a try. I’m so glad I did. It didn’t track my sleep correctly the first time either, but it has an awesome feature that recalculates your sleep, and when I did that it gave me a choice that was spot on. Additionally, the amount of information available is incredible. **** Update after using for 3 weeks. I’m even more amazed by this app. After adjusting my sleep amounts for the first week or two and turning on the feature to recognize that I’m awake if I move my phone, I never have to adjust my sleep times any more. It reads it perfectly. I’m totally amazed. Very useful app! Gives you lots of information on your sleep patterns. Bought this app based on its good reviews here in the App Store. It's proved to be very helpful in identifying my sleep patterns and also pretty accurate. For example, yesterday morning I woke up feeling tired and pretty crappy even though I got my goal of 8 hours sleep. I dug deeper into the dashboard and it shows that I got virtually no deep sleep that night. I wake up multiple times a night, but on the night it does show me getting deep sleep, I remember waking up feeling particularly refreshed and not tired. So it's accurately verified sleep problems I knew I had. But the app won't fix it or tell me what's causing it, of course. For that I'm going to have to get the help of a sleep specialist. There's a lot of information on the dashboard if you know where to look and poke around a bit. It also coordinates with the developers heart app and Apple's health app. This is the best sleep app out of the 8 I’ve tried so far. It tracks every night even if I forget to start a sleep session. It also offers a lot of comparisons over time. And lastly, it has the best editing options if there are any mistakes. There are just two things missing... 1) I love that they let you tag each day/night with certain events (emojis) to look for trends in how it affects your sleep quality. However, it would be even better if the app would analyze those tags for you over time to show you trends you might otherwise miss. (ie, your sleep quality on nights you are in a hotel bed averages 18% lower than other nights; your sleep quality on days you exercise in the evenings are 8% higher than other days, etc) 2) Record Audio clips using the iPhone version of the app while you sleep. 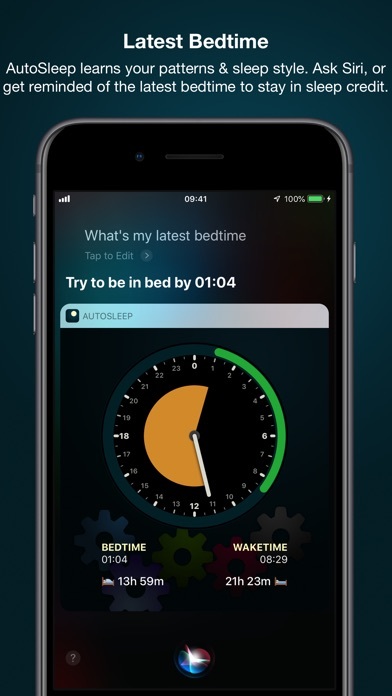 Some other sleep apps use the Watch for motion detection while sleeping, and the iPhone version of the app to record short audio clips when it detects noise during sleep (for detecting snoring or possible sleep apnea). Then they sync together in the morning and combine the data for you to see and listen to for each night. This is a big help for determining whether snoring or sleep apnea might be affecting you sleep quality at certain points during the night. If AutoSleep could add these two features, it would be perfect! I’ve tried a couple sleep trackers on iOS and this is by far the best. The developer seems to really care and really care about feedback. If you’re on the fence about buying it, just go for it, especially if you have an Apple Watch. I was using a free sleep tracker that requires the user to start and stop tracking, but Autosleep doesn’t need this. You can tell it when you go to bed optionally and it will track how long it takes you to fall asleep based on movement and your heart rate. There are tons of options in it. Really it’s nearly a perfect app. The only thing I could ask for is more metrics and charts to see. The biggest one I’d want is a time to fall asleep metric in the monthly history section. It already shows a ton of stuff, but more could never hurt, and I’d like to see if there’s any correlation with other metrics and my time to fall asleep. I have been using this app over several editions and now watches 2 & 4, it just keeps getting better and better in terms of information and options for measurements. The sync between watch and phone are fabulous and you can have it in your watch face’s calculations section. 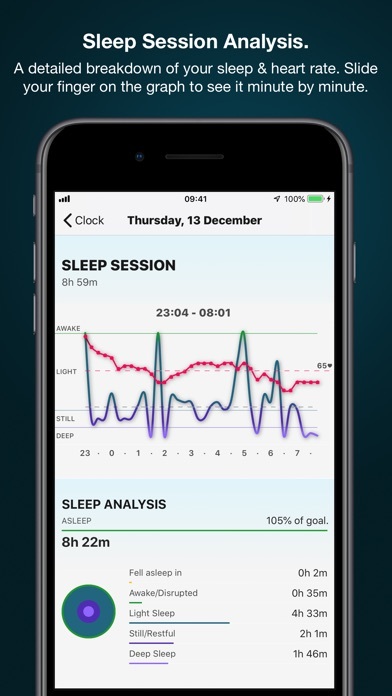 You can spend a good deal of time drilling down into the information provided or view a simple take away synopsis from the sleep clock graphs, making this app a very individual oriented data partner in your health and well-being tool kit. Also, this app is not pitting you against the “average person” but is organized around your lifestyle. Depending on your inputs you can fine tune your sleep information and in turn your sleep habits. Thank you crew for your commitment to the health of your users and potential users. Like another reviewer mentioned below, I’m also coming from a Fitbit charge 2 which had phenomenal sleep tracking. Unlike the charge 2, this app doesn’t catch when I’m awake in the middle of the night. I’ve gone thru all the settings to calibrate my sleep, changed my heart rate type, and gone thru the setup multiple times. I shouldn’t have to tweak my sleep on a daily basis. I’m guessing it’s something with their algorithm, which shows I have a pretty high heart rate while I sleep and unlike the charge 2, which showed my heart rate dipping down into the 50s. Not sure what’s going on with this app but it’s inaccurate and not worth the money in my opinion. You don’t need to mess with any of the settings on a Fitbit and it tracks accurately, while with this one you do need to tinker around with it. It’s a pain and shouldn’t be a necessity on the daily. And another thing is the UI, it’s not simple and user friendly like the fitbit’s. If it wasn’t for me loving my watch and all it’s other capabilities, I would seriously consider going back to the charge 2. Dramatic, I know, but true. My story - (@ 27yrs) Shortly after I started to have heart palpitations and WITH medical guidance (very important). I bought this bundle which included the heart and sleep apps. Within a few days, I had enough data using the sleep app to see what was going on. I was in massive sleep “debt”, and my heart was being impacted. For the little sleep I was getting, the app helped to show it was poor quality and almost no deep sleep. Without quality, deep sleep my entire body was in overdrive and that included my heart. The heart app showed similar trends of significantly high heart rate. Results - Once I started to follow the sleep guidance, my heart immediately followed suit. I was getting more quality sleep, and my heart was able to rest. It’s been 1 week, since then I’ve dropped my caffeine intake dramatically. I drink for choice not energy. I start my day off at 6am versus I was a 8-10am riser, and I always wake up feeling more rested. Validity - The amount of data in these apps is INSANE, and it was awesome it pulled in my historical heart data. Don’t be overwhelmed, take some time to learn it. Or just use what you want, and slowly grow into it. This is $3-$8 that has potential to change ones life. Hold one coffee, and buy this app. For me, it was more than worth it! So I just got my Apple Watch this holiday season. I’ve looked at them for a while, but one feature that made it hard for me to commit to switching from Fitbit was the sleep tracking feature. AutoSleep solves that: it pairs well to my Series 4, and presents the data in a clear, easy-to-read display that makes investigating my sleep patterns pretty easy. After two weeks of use, I can say it fairly accurately tracks my sleep (duration, depth, etc.,) and it learns quickly from mistakes. Occasionally it’ll log some restlessness as sleeplessness, or doesn’t catch when my sleep started quite right, but that’s easily edited in the app. I’m still getting used to the “Readiness” metric, and the app does seem to occasionally struggle to pull HRV data from the Apple Health App, but other than that, this app is fantastic, and worth the purchase! This app has helped me understand my sleep. If I get up and not feeling rested it shows me why. I have continued to improve my sleep cycle since I got this app. I never slept very well before I started tracking it, with auto sleep. How it’s improved my sleep I am not sure. But I have my goal and that must help. I use the lights off feature. I go to sleep faster and get more rested now. It shows how long I was in bed and how long it takes me to fall asleep. I lay done thinking about going to sleep instead of my day, that I had. Or anything else that comes to mind. Never could do that before. Was always lucky to get 5 or 6 hours of sleep. Now I am getting 7 to 8 of good quality sleep and 1 to 2 hrs of deep sleep. I am 58 yrs old and I sleep better now than I ever did . It’s worth every cent it cost to purchase. Get it, and you will understand your sleep more than you ever did before. It’s very informative, with information about what studies have shown. And where you are. With your quality sleep, deep sleep and recharge rate. Works excellent with my Apple Watch, that shows my sleeping heart rate. That’s continued to come down since I started using Auto Sleep. The developers did an excellent job on this app. Thanks to the developers you guys are geniuses. I just recently talked myself into finally buying this app, and I’m not disappointed. It gives a really detailed breakdown of your sleep and is super easy to use. Just go to sleep and everything is ready to go when you wake up. My only issue with it is that it’s not able to be modified for someone who doesn’t work a normal, daytime work schedule. As someone who works second shift, there are features that I can’t really use correctly, such as Night Hour and Quiet Time. Since I don’t get home from work until nearly 2am, neither of them allow for the hour to be changed far enough for me to really utilize these features. It’s a fantastic app for people who work a day shift, but those of us who work night hours aren’t able to get the full benefit from it. If those features become more modifiable in the future, I’d happily give all five stars. I’ve had major hiccups with this app for months now. It used to be pretty accurate, but now it’s simply hit or miss. I was told to make sure my watch is up to date after updating my iPhone, which took care of the inaccuracy for about a couple of weeks, but then it just goes back to either guessing what’s going on or just saying it was charging overnight when it wasn’t. I’ve removed the phone from being next to me on the bed to being on my nightstand thinking that would help with the readings and it doesn’t. I’ve unpaired/paired my watch to my phone hoping that would help reset it. But something I’m not doing is resetting my phone to factory settings just to see if that helps the app that should be working without such drastic measures being taken. It shouldn’t be this aggravating, but that’s what it’s turned into. I just wanted an app that could track my sleep with a decent amount of accuracy. In my experience, this app is not that. 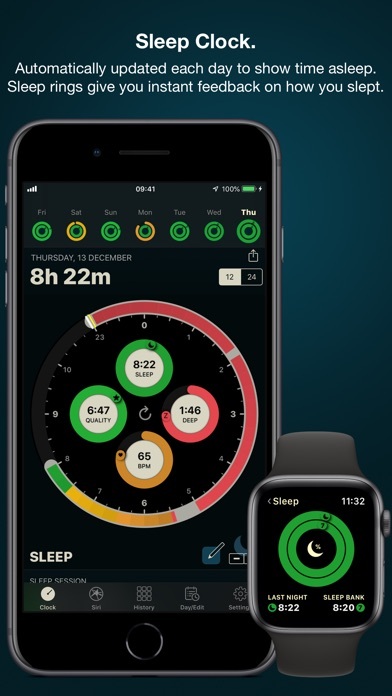 This is the best sleep tracking app for Apple Watch by far. I’ve been using it heavily since shortly after its release and it just keeps getting better. Most sleep tracking apps for the Watch have the user take action to start and stop tracking sleep. With AutoSleep, though, all you do is wear your watch to bed - you never have to think about it - and it tracks your sleep automatically. Very accurately. 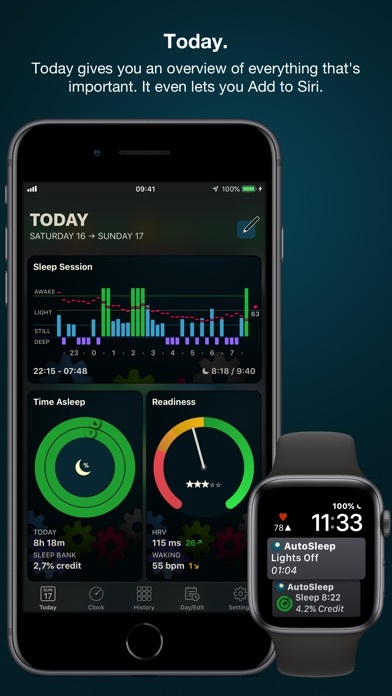 Version 5.0 that was just released is a big leap forward - allowing the Watch app to track sleep independently of the iPhone when necessary. It’s like this app adds an entire feature to the Apple Watch that it doesn’t ship with. Give it a try! Also check out the developer’s companion app, HeartWatch, which gives you a much deeper look at the heart-rate data your Watch collects. Are Benefits Too High A Price? The heart package uses 3 pieces to track sleep, wake and daily activities. It can borrow known info or function independently. Since it was designed for Watch and OS 10 I will add that to some degree Apple is providing its own apps to track activities and sleep/wake. Having said this, the graphics in this package are much better for advising the user about their heart’s activity. Unfortunately the cost of providing this info is intense “me only” app functionality. At the same time it reduces battery life by an entire day at the very least. Removing Watch’s work time so we can charge more frequently defeats the purpose of tracking and restricts your own normal activity more frequently than you may like. While you can be informed of great advise and awareness, if you were to discover a problem you will loose time to study it. Is the need for 3 parts an inconvenient step toward trying to do too much? I remember when I first started using this app and it has drastically improved since that version. When I looked for a decent sleep app a couple years ago, there really wasn’t anything that great but this app has improved to the point where I can see that it’s accurate when I have a sleepless night or I wake up at 3am and can’t fall back asleep. I don’t believe his is accurate down to the minute but I 100% believe it’s still valuable. You can go through a week and see which nights you slept terrible and which nights you slept well. The automation works really well. I highly recommend this app and I have never used a better sleep. I love that they continue to improve the app. The support is really obvious and the end product reflects the efforts of the developer. Tried it for a year.. It gets 2 stars because I enjoy most of the status reports. However, 3 times/week, it could not find my data. This was really frustrating. I am a care provider working over 60hrs/wk, so regular sleep is vital. Tracking it helps me stay on track. This app’s support people, consistently blamed their problems on me and my device. After the third day in a row of being asked “did I wear my watch to bed?” 🤦‍♀️ , I finally tried a new app (called SleepWatch). And not to sing the praises of an app that I just installed a few minutes ago, but it is an impressive difference by comparison. As soon as I set up my new account, it read my data ..including my two previous days! The data this old app, insisted I did not collect. Told y’all I was wearing my watch!😏 I am always wearing my watch! !😜 Ok, so There is something seriously flawed about this app🤔. Its too bad, I absolutely loved all of the reports and layout..except that “readiness score..lame “. I’m not trying to be harsh, but I reached out for a year trying to fix their problems, until I decided to no longer let it be my problem. I would not suggest wasting your time with this app, (til it’s fixed). When the app is deleted, so is all the history; including all the reports one takes the time to edit manually. It’s really cool ..when it works. It was not worth losing all my history. Good luck & sleep tight! The best sleep tracker for an Apple Watch. This is the best sleep tracker for an Apple Watch. Before my Apple Watch I used a different activity tracker. It tracked my sleep so well, so when I went to an Apple Watch I still wanted to track my sleep. I tried several apps, but most only tracked when I turned them on, and when I turned them off. 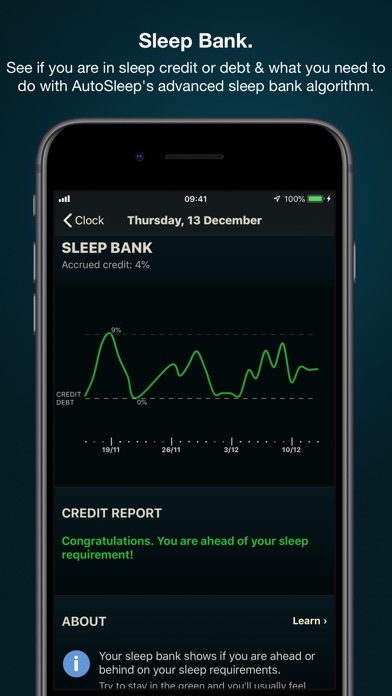 This app tracks quality of sleep, heart rate, and restlessness. It’s very detailed and very accurate. I’m not sure it’s as accurate as my previous tracker, but it’s the best I’ve had on my Apple Watch. I was also presently surprised to find it won’t drain your batter any faster than average. I simply charge my Watch in the hour or two before bed and then wear it to sleep. The only feature this app lacks is an alarm clock. It be nice to have it wake me based on my sleep cycle. My interest in this app is based on my believe that good sleep is very important. And if I can understand how my sleep patterns are associated with my daily behavior, I can modify or at least try to modify my behavior so that I get better sleep. For me some of the modifications include The quantity and timing of my food intake, my exercising and drink to include water, coffee and alcohol. As a result of these efforts I believe my need for naps has gone down significantly. Now whether that is because I’m getting better sleep or more highly motivated to make the most of my time awake, I’m not sure. But I do believe this app has been one of the many multi faceted parts of my efforts to live a more healthy life, and productive life, for my personal benefit and in-service to my God and my country and others. Sleep Time Accuracy is Amazing! V6 rating: Previously rated Autosleep 5-Star, for its simplicity and accuracy. However, since the latest V6 update, the simplicity and sleep accuracy is now gone! I really doubt that the quality of my sleep is now totally different, and changed overnight since the V6 update. Hate the V6 update, and am no longer willing to let Autosleep drain 20+ % of my Apple Watch 4 battery each night! Much too complex, now, for us simple folks! V5 rating: Auto Sleep automatically detects when I fall asleep and wake up, while wearing my Apple Watch 4. It is amazing that it automatically records when I doze off and wake up during a brief daytime nap, as well as nighttime sleep, without having to manually open/close any of the watch apps. Plus, the summary analyses and graphs are very easy to understand. By far, the best app I actually had to pay only a onetime couple of bucks to upgrade a free app (HeartWatch). Well worth the additional cost for the “automatic” features if you have the Apple Watch and HeartWatch app. I’ve been using the app for several months and found the data it was providing extremely useful until I fell ill. While I was sick I wound up not wearing my Apple Watch for several days, so obviously no sleep data was being recorded at this time. When I was well enough and returned to regular use of my watch all of my apps picked up gathering data without any issues. All of them ... except this one. It appears that any break in the data is a barrier the app is incapable of dealing with. And, in the event that the developer actually reads this the answer is yes...I tried ALL of your recommended fixes and NONE of them worked. And no...I am not going to trash my current data and re-pair my watch as a new device just because a single app has decided to take a dump. Admittedly I really really enjoyed this app while it worked. If you’re looking to pick this app just don’t ever plan to remove your watch from your wrist longer than a few hours if you want it to keep working. I have tried them all and after deleting AutoSleep twice as being too complex and non-intuitive to be worth the effort of trying to interpret the ‘ring’ data upon awakening, I have decided it is the best. You have to work with it for a month or so for it to become adjusted to your sleep patterns but it is well worth the effort. 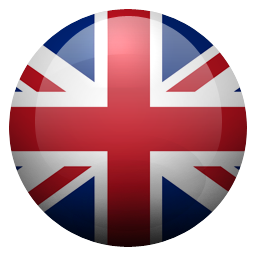 The recent redesign of the ‘rings’ makes them more comprehensible to non-Brits and as before they include fascinating information to gear heads the deeper one explores them. Of all the apps I tried (I once had six that I checked every morning) I also kept SleepMatic which provides a quick read of pertinent data and also, I found, was more accurate as to the number and duration of arousals during sleep sessions. I’m addicted to using this app. I’ve struggled with insomnia for years, and especially with getting a bare minimum of 6 hours of sleep a night. 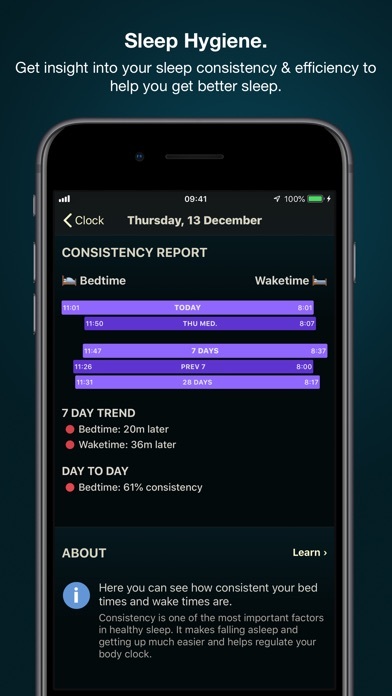 I tried several other sleep tracking apps, from FitBit one, to iPhone ones to iWatch ones, and this one is hands down the absolute best. So many views into the data that it captures from the sensors! I feel like it gives the most accurate picture of restless, light, and deep sleep (because I wear my watch to sleep), and it teaches me better sleep habits by way of the data. I’ve also written to the developer numerous times to understand how to best use and configure the app, and he promptly and patiently responds to my questions or suggestions. I’ve never written a review for an app before, so that’s how much I love this app! In the 6 weeks I’ve used this app, my experience has been iffy at best. When it works right, the information is great, and the display is easy to read. However, the key word is “when”. It seems as though there are issues at least once or twice a week where either no data is reflected or it shows only the total hours slept without other data. When I have contacted support, I have found that the tone of the emails tends to be rather snarky and condescending, and quite frankly, that is not cool. Although the tech specialists have tried to blame the issues on my watch not capturing the data, I find it a bit odd that, if I delete the app from my phone entirely and then reinstall it, the data magically appears (which would seem to suggest that the watch has captured something in spite of what I am being told). Overall, I am going to give the app another week or two before I find a new app to use. Best sleep app I’ve ever used! Amazing how accurate this tracker seems to be. I watch a lot of tv before going to sleep so most apps will detect that lack of movement as sleep but not this app. It blows my mind how it can tell the difference between watching tv and sleeping. It also seems spot-on for detecting how often I get up to use the bathroom throughout the night. My favorite fun feature is the battery charged indicator. The other night I had insomnia and slept 2 hrs and it said my body’s battery only charged 34%. That was so accurate - by lunchtime I definitely felt my body’s battery was running on “low power” mode. LOL. Speaking of battery, I was worried it would drain the Watch battery and it does not. This is BY FAR my favorite Apple Watch app! It should be on everyone’s app list!!!!!! The app regularly reports that I slept soundly through the night even though I know that I woke up repeatedly, even when I have physically gotten up and walked down the hall and used the bathroom. Sometimes I will be laying in bed awake for nearly an hour but as far as this app is concerned, I slept soundly through the night with no disturbances. I’m not sure how the app determines these things but I’ve come to the conclusion that I don’t need an app to tell me when I am asleep vs. when I’m awake because I can clearly do that on my own. Don’t bother, just use your own self for that. Want to know if you slept badly? You’re gonna know when you’re tired all day. Want to know if you slept well? You’ll know that too because you feel refreshed after sleeping! Amazing!! How dependent are we on smart phones and watches that we need apps to tell us what we already know? Don’t make a fool of yourself like I did. Skip the app. I deleted mine. tl;dr - The app is magic. All you have to do is install and it does exactly what it is supposed to without using the setup wizard. Support team is super helpful. 10/10 would recommend. I've been using Autosleep for give or take a year. I've had only success tracking my sleep quality with this app. Recently, I was switched to working night shift at work and noticed in the setup wizard that there was no option to set bedtime when I usually went to sleep. Naturally, I sent an email to their support team. This is where I became more impressed. I received a response from David the same day before I went to work. He let me know that the app is able to determine when you sleep regardless if you set your actual bedtime. The auto detection figures it all out itself. Honestly, I'm very impressed with the ease of use with this app. You really only need to install it and it takes over completely without any user input. In regards to the customer service, top notch. David was very friendly and helpful. He gave me a link to user resources that I (apparently because I was too lazy) didn't look for myself. Great work and great customer service. I have been using this app for some time now, but only recently began utilizing the Apple Watch functionality. I previously was hesitant to do so because I don’t like wearing a watch when I sleep and I was concerned about my watch dying throughout the day. I have found wearing the watch does not affect my sleep at all, and I am able to charge it while getting ready for my day and sometimes in the evenings I will put it on the stand again to top it off before putting it back on and going to sleep. The App is very detailed. I love all the complications and views available on the Apple Watch and the iPhone App has even better functionality. Highly recommend to anyone who wants insight into their sleep. Average app. Not as accurate as a Fitbit. I just got an Apple Watch and needed a sleep tracking app. This app is decent but I am coming from a Fitbit Charge 2 and feel that my Fitbit tracking was way more accurate than this. Fitbit doesn’t require you to manually program and tweak your settings to be accurate either. This app is called AutoSleep but if I have to manually adjust my sleep every single day, it’s not really automatic is it? I hope it gets better with time, especially considering this is a paid app. It’s good enough for now I guess, but if I need to keep adjusting sleep detection and the amount of sleep I get, because the app isn’t detecting it properly, I will have to move onto something else. It also gives tons of extra data that’s utterly useless if its basic function, sleep detection, has to be manually programmed each day. Pretty disappointed so far honestly. Fitbit tracking is clearly superior. ITS THE BEST... Case closed! So I've been using AutoSleep, AutoWake and HeartWatch now for about two months... I've been really putting it through the ringer, especially since I bought the series 4 Apple Watch. So what do I absolutely love about this trio? Hmm , what don't I love... I've used pillow, sleep watch and others. But found myself always coming back to this app time and time again. There's nothing more precise, nor customizable than what you see here, period. And at this price, it's just hard to beat. Remember, this is not one of those "subscription" money grubbing developers. And support, I've written them 3 times, and have always received prompt, friendly, answers in my mailbox the next morning. Thank you... You guys are the best!